B.8.1 AW guidance on assessment of the fitness for purpose of welded structures. IIW Draft for Development doc. SST-1157-90. B.8.2 Guidance on some methods for the derivation of acceptance levels for detects in fusion welded joints. British Standard Published Document 6493:1991. B.8.3 Standard test method for measurement of fatigue crac k growth rates, ASTM E647-93. B.8.4 Fatigue crack propagation in aluminium, IIW Document XIII-B77-90. B.8.5 Stress intensity factor equations for cracks in three-dimensional finite bodies. ASTM STP 791, 1983, ppI-238-1-265. 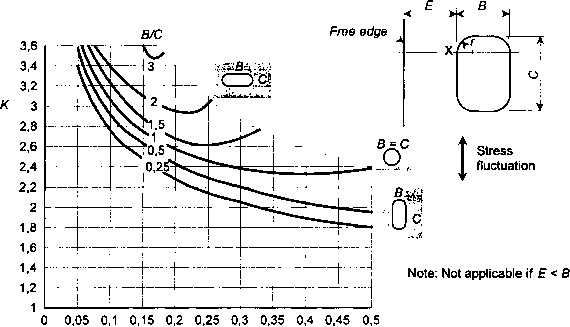 B.8.6 Graf, U: 'Fracture mechanics parameters and procedures for the fatigue behaviour estimation of welded aluminium components1, 1992. B8.7" Simulations of short crack and other low closure loading conditions utilising contact Kmax AK-decreasing fatigue crack growth procedures. ASTM STP 1149-1992, pp.197-220. Table B.7.5. Fatigue life predictions based on upperbound fatigue crack growth data for cast aluminium alloys from table B.3.4.